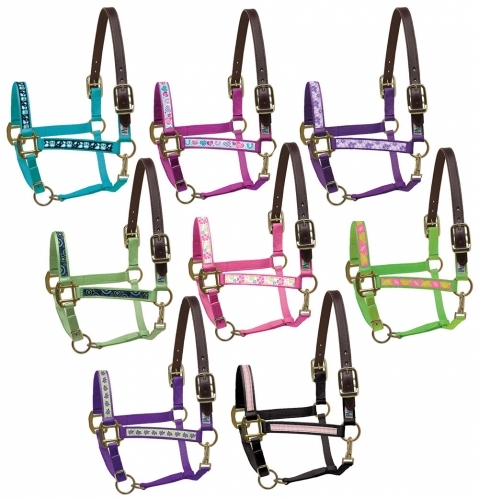 Premium Nylon Ribbon Safety Halter - Premium nylon safety halter with colorful ribbon attached to nose and cheeks. Comes with replaceable leather safety crown. Made from double stitched, tear resistant webbing with brass plated hardware.